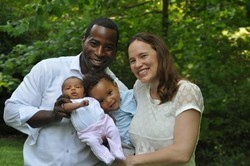 Old Bergen Church provides direct support to two mission co-worker couple – the Alexanders and the Smith-Mathers. They work through the Reformed Church of America and the Presbyterian Church (USA). 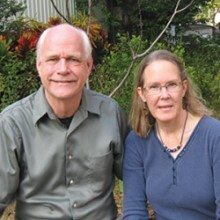 Charlene Bos and David Alexander met in Taiwan in 1976 while serving as RCA volunteers. They were married four years later, and returned to Taiwan in 1982 as career missionaries. Currently, Char teaches English at Chang Jung Christian University, which is associated with the Presbyterian Church in Taiwan. Dave teaches practical theology and ministry skills to ministerial trainees at Tainan Theological College and Seminary and offers courses in the lay training division there. The Alexanders have two children, Kate and Grant. Dave and Char work in partnership with the Presbyterian Church in Taiwan. Shelvis and Nancy Smith-Mather work with RECONCILE, (Resource Centre for Civil Leadership), an indigenous ecumenical Christian organization, which was established in March 2004 by a national church council of the New Sudan Council of Churches. It promotes “peace building” by providing training in trauma recovery, conflict transformation, and civic education. RECONCILE’s activities are in areas of high inter-ethnic conflict, with the churches often being the typical point of entry into these communities. Shelvis and Nancy participate in RECONCILE’s training events that address inter-ethnic conflict. Shelvis serves as the principal of the RECONCILE Peace Institute, which offers three-month courses in community-based trauma healing as well as peace studies and conflict transformation.